Humoresqua | Zonyxa. Unique and contemporary jewellery for Work. Love. Play. 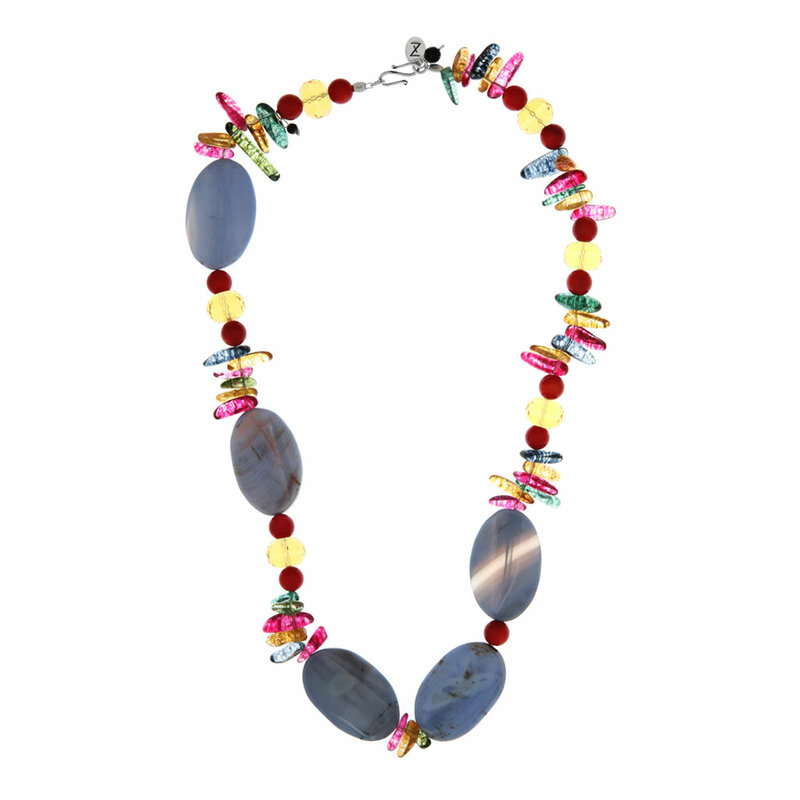 A kaleidoscope of colour incorporating tactile blue chalcedony complementing by citrine, coloured ice crystal and coral. Perfect with a white summer outfit. Materials: Chalcedony, citrine, coloured ice crystal and coral.